My name's Jan and this is my website all about Mojacar in Spain. Register now for free to talk about Banking and finances in Mojacar and much more! Hi, we are coming back out in a few weeks to view some more properties to buy a holiday home in the area. We have a mortgage agreed with a Spanish bank, lawyer arranging NIE etc but were wondering the best way to exchange the money for deposit/taxes etc? Should we go to a money exchange/broker rather than transfer the money directly to the bank? Any advice gratefully received! Hello We have just purchased a property and used Magna Financial. Osman was excellent at getting the best rates including fixed forward rates to avoid any drops in the exchange rate. Hope this helps. Hi we completed on our property last week and used GCEN they were excellent and we saved a lot of money using them. We also used a solicitor called Maria at Mundi Abogados in Vera she was so nice very professional we gave her power of attorney and she got our NIE numbers for us opened our bank accounts and set direct debits up for us for utilities. We fly out to pick our keys up next month and can't wait. Good Luck in your search we were very hesitant at the beginning but are so glad we did it. We use Currencies Direct and have been very pleased with them. You can transfer to your Spanish Bank account via an app on your phone or via the website. Either it can be by a bank transfer to them or via a debit card you've registered with them. The former is better for large amounts but the latter is quicker for transferring money over for bills and short trips and will be in your account the following morning. Although I know that some here on the forum do just use their UK bank to transfer directly to their Spanish bank, my experience with investigating sending funds from Santander UK to Banco Sabadell is that I would get a much worse rate and the projected time for crediting the Spanish account is slower. I use an online Company called ‘Transferwise’ quick easy and superb rates. Check them out read their reviews. I have used GCen and Currency Direct I have found this Company the best. Good luck. 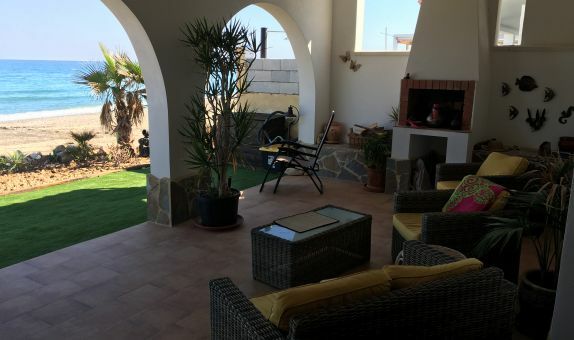 Hi, When we bought in Mojacar I used both GCEN and The Currency Account, I thought the Currency Account was better as they take a standard .05% commission but you do get the actual exchange rate at that time, and it's immediate, you just click when the rate becomes what you are happy with. When we bought, we used UKForex. There is no charge (so definitely don't use your bank account), and you can 'book' to send money - for example, you say you want to change the money when it reaches £1= 1.10 Euros. I phoned them to discuss exactly how it all works, and they were very helpful. It's probably worth checking the rates of all the places recommended here to see which would be best for you. Currency direct...vere professional and easy to use.